Improving on their already vast selection of bolt action and 10-22 rifle stocks, Hogue has added additional Flat Dark Earth colored models for Howa1500/Weatherby Vanguard, Remington 700 BDL, Mauser 98, Ruger 77 MKII, Ruger Mini 14/30 and Ruger 10-22 models. Hogue stocks incorporate every desirable feature required of a fine rifle stock. The stocks are constructed by molding a super-strong, rigid fiberglass reinforced skeleton that precisely fits the long gun’s action. The skeleton is then OverMolded with a durable, but soft, synthetic elastomer (rubber.) Utilizing this technology, Hogue has created a superior stock with a sleek straight comb, palm swells and a “varminter” style forend. 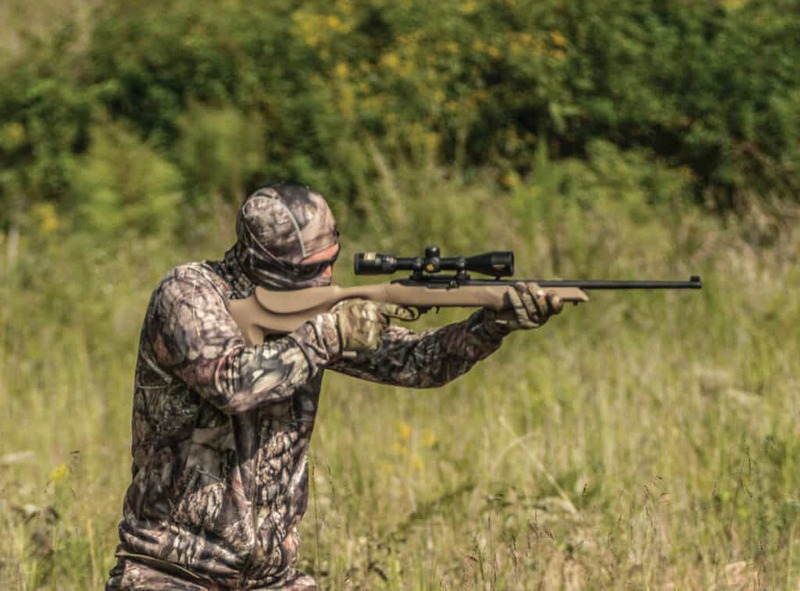 Hogue centerfire rifle stocks are designed to free float the barrel for maximum accuracy with models available for both standard as well as heavy “varmint” barrels. Completing the stocks are QD sling studs and the finest in Hogue recoil pads. Hogue centerfire bolt action stocks come standard with aluminum pillar bedding that guarantees an accurate, rock-solid action fit that will not shoot loose. For the absolute ultimate in accuracy, all bolt action stocks are optionally available with a precision machined full length bedding block molded directly into the stock, that extends full length into the forend. Hogue stocks are available in an array of colors and are manufactured in their family-owned and operated facilities under the direct supervision of the Hogue family. Hogue, Inc. supports local dealers and encourages customers to purchase Hogue products locally. For more information please call Hogue directly at 1-800-438-4747 or visit www.hogueinc.com to find a Hogue dealer near you.